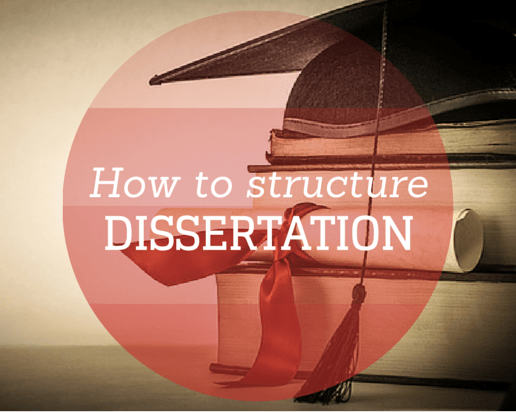 This guide is meant to provide doctoral candidates with an overview of how to structure a dissertation. It is important to note that individual institutions and departments within those institutions may have structural requirements that differ in small ways from the information that is presented here, but the general format is pretty universal. This introductory section is meant to provide a very basic summary of the structure of dissertation chapters, as well as other elements that will be required. Although, we hope the guide is to help the graduates be to have as little questions as possible before writing a dissertation. The abstract is created after the entire dissertation is completed, and is meant to provide a summary of the contents, so that future researchers may determine if the research contained in this dissertation is relevant enough to be included in their literature reviews. Because the abstract is a single-page document (250-275 words), it is a tricky piece to produce, in order to summarize an entire research project. If you have read enough dissertation abstracts, you have read the titles of such works. While a very short piece of writing, the title must encapsulate the entire study into a single sentence. If you think the abstract is difficult, the title is equally as so. These two pages follow the title page and are for the purpose of formalizing the approval of you dissertation committee members and for obtaining a copyright if you wish to have some legal measure of intellectual copyright. This page follows the approval page and has as its purpose the recognition of those individuals who have provided any type of dissertation assistance. Unlike the rest of your dissertation, this page can be of more informal language and may include a wide variety of individuals, from your advisor to a friend who helped implement your research activities. This page is self-explanatory and should follow the provided format from your institution. This page(s) must provide a listing of all graphs, charts, figure, and any other graphics that are included. They should be listed by number, description, and page number upon which they appear. Your introduction will be crafted after your entire dissertation has been completed, because, after all, you have to have a holistic idea of what you will be preparing your reader for. While this is the shortest chapter of your dissertation, it must set the stage for what is to come, but, at the same time, not reveal the results of your research and the conclusions you have reached. This is the only chapter which you may personalize just a bit, but the language must remain formal and scholarly. Chapter 2 is a compilation and summary of all relevant research related to your research question that has gone before you. While this chapter is often characterized as a major research paper, it is in fact structured a bit differently, and speaks to how each piece of reviewed literature informs and impacts the research study that you have undertaken. When you construct your conclusion chapter, you will certainly refer back to these pieces of literature. Chapter 3 gets to the “meat” of your project. Here, you must provide a detailed description of your actual research – the population and sample, the method of sample selection, what data is to be collected, and how that data is to be collected (i.e., instruments). You will also explain what method of statistical analysis will be used in the next chapter. This chapter will organize the data so that it may be reported both graphically and in prose. The other major section of this chapter will be the actual statistical analysis and a reporting of that analysis. Conclusions and implications are not contained in this chapter – you are simply reporting the data and your analysis of it. This final chapter (5) will review the finding from the analysis, come to conclusions based upon that analysis, and answer the research question. Beyond this, the writer should address the implications of what has been found and make recommendations for future research, recommendations which may come from constraints of this study or data that may have been gathered that did not relate specifically to the current study. These are the necessary materials to substanitate your research or display its details. Basically, we speak here of a detailed information the would disrupt your dissertation structure if inserted in it. Writing a dissertation is certainly a major undertaking because it incorporates thorough review and study of all research that has been previously conducted, a design and implementation of an original research study, and a full analysis of the results of that original study. For this major project to be properly reported, it is critical that there be a formalized structure of a dissertation that is rather universal across all institutions of higher learning. Understanding this structure and the components of each chapter will be critical for proper construction and ultimate committee approval.